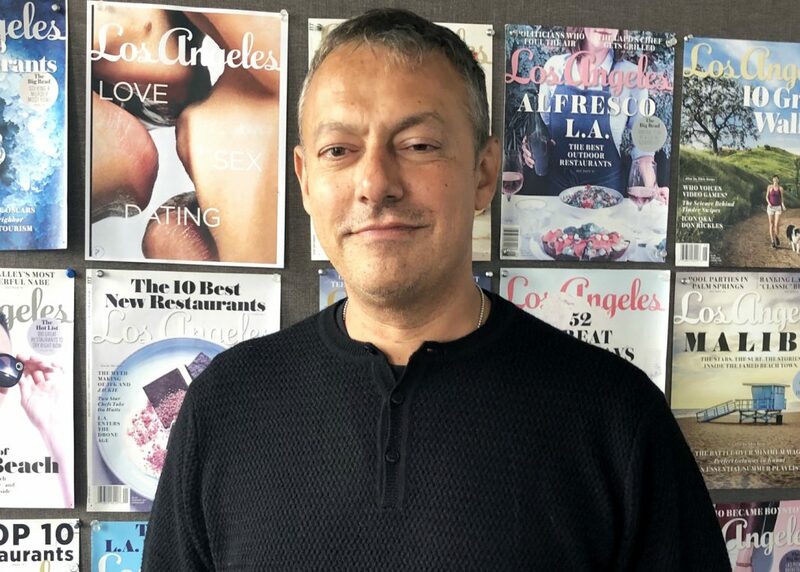 Los Angeles magazine is proud to announce that Maer Roshan has been named editor in chief of Los Angeles magazine and LAmag.com. An award-winning editor, writer, and media entrepreneur, Roshan has served as a top editor at several of the industry’s premiere titles, and launched and edited a succession of trailblazing print and online publications. As deputy editor of New York for nearly seven years, he oversaw the magazine’s Intelligencer section and produced some of its most-talked-about features and investigative reports, including the first interview with Donatella Versace after the murder of Gianni Versace, and the first postimpeachment interview with Monica Lewinsky. He also won an Emmy for producing “The New York Awards” on WNBC-TV. In 2002, he launched Radar, an irreverent and news-making pop-culture magazine that was hailed by The New York Times as Launch of the Year. Founded in Roshan’s living room, Radar regularly made headlines with provocative features on Scientology in Hollywood; barracks life in Iraq; and a prescient 2007 cover story on “toxic bachelors” that included Harvey Weinstein, Charlie Rose and Kevin Spacey. In 2008, the title was a finalist in the general excellence category at the annual American Society of Magazine Editors awards. RadarOnline won 19 Webby Awards and turned out dozens of leading writers and editors. More recently, Roshan founded the inventive iPad magazine Punch! and TheFix.com, which quickly became the largest addiction-and-recovery news site in the world. He partnered with Barnes & Noble to launch a series of Fix-branded e-books and wrote the first title in the series, a bestselling biography of Courtney Love. In 2013, Roshan moved to Los Angeles to helm Awesome Projects, an editorial and creative consultancy that served clients from Telepictures to Snapchat. Since 2016, he also served as editor of FourTwoNine, a California-based national men’s magazine and website that recently won the Los Angeles Press Club’s 2018 Southern California Journalism Award for its political and business coverage. Born in Tehran, Iran, Roshan, 51, arrived in the U.S. at the age of 12, during the Iranian revolution. He launched his first magazine, feisty gay newsweekly NYQ, when he was 23, and was hired by Time Inc. two years later to remake it as a national title. He has written about politics, pop culture and business for publications including The New York Times, The Miami Herald, The New Republic, The Hollywood Reporter, New York, Slate, The Daily Beast, and Harper’s Bazaar, and has received awards from GLAAD, ASME, the New York Press Club, and Adweek. Roshan is the ninth editor in the magazine’s 56-year history.